Lawyers hold a lot of personal and often sensitive data, and it is critical that law teams and law firms understand where this data is at all times and how to access it. Thread Legal have enabled this with a comprehensive reporting tool, that shows you all personal data held within Thread Legal across files, documents and even PDFs. 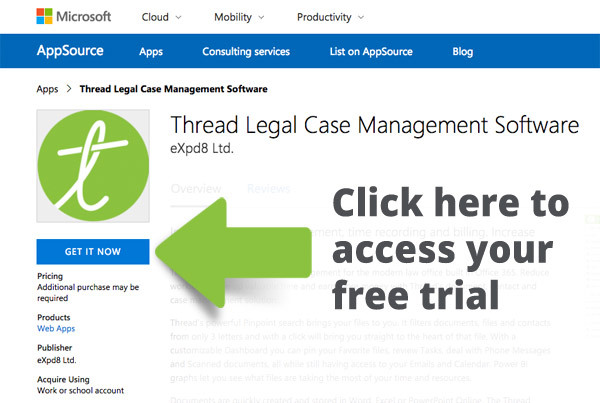 Thread Legal’s search tool also helps you to find all information held on an individual with just three clicks. The personal data of children is a special category of data. Thread Legal enables you to record on a contact whether the contact is under 18, so that you can identify data and process it in line with your own GDPR policies and procedures for minors. Data security is also a critical aspect of compliance. Thread Legal stores the personal data that you hold within your own Office 365 account, and data remains your property and within your control at all times. Thread Legal staff cannot access your data unless you have given them permission to remotely access your computer during a Support session. If you have any other questions about Thread Legal and GDPR, please contact [email protected].